Safe Holiday Decorating: 5 Tips for Your Family | Inspect A Home, Ltd. The key to having a wonderful time with family and friends this holiday season begins with safe holiday decorating. By practicing safe holiday decorating, you can focus on the fun parts of the holidays instead of worrying about the possibility of a potential emergency. Here we have listed some smart ways to be mindful of safety while you are making your home festive. 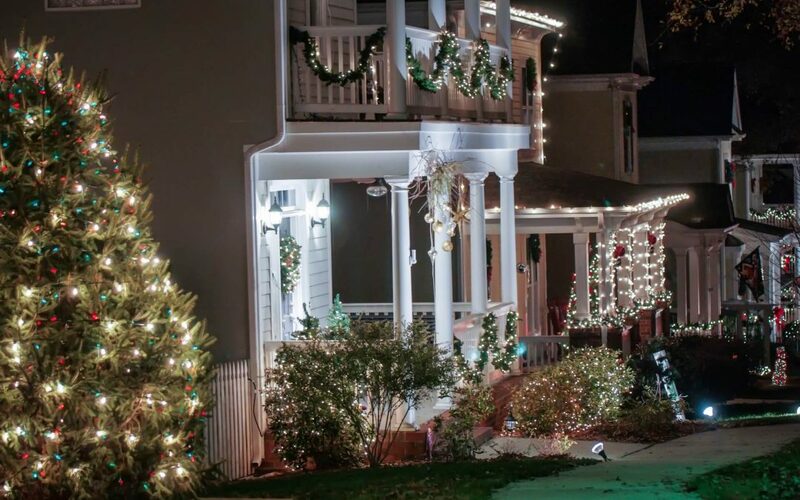 Make sure that the string lights you are using show that they have been tested and certified by a nationally-recognized laboratory such as the UL. A red UL symbol means the lights may be used indoors or outdoors, and a green symbol means they are only safe for indoor use. While you are at it, inspect the light bulbs and wires for any damage, and discard any strings with frayed wires or broken sockets. When hanging lights and other decorations, don’t climb on rickety furniture. Get a proper step ladder and wear slip-resistant shoes when using it. It’s best to have a spotter as well to hold the ladder in place if it is on uneven ground. When positioning strings of lights, only handle them when they are unplugged. Otherwise, you risk an electric shock while you are standing on a ladder which can make you fall and give you major injuries. Whenever an open flame is involved, you should pay special attention. Candles and fireplaces provide a warm and cozy atmosphere, but should not be left unattended. Burning candles should always be placed away from any flammable objects, such as curtains and trees, and placed upon a sturdy surface that can’t be reached by children and pets. While throwing wrapping paper in the fireplace is fun, the chemicals in wrapping paper can ignite the paper more intensely than expected and cause a fire where you don’t want it, so refrain from doing this. The most popular of all decorative holiday plants, poinsettias, are poisonous to both people and animals if ingested, so keep them out of reach from those who don’t know better! 5. Turning In For the Night? Lights out! Not only does it waste energy to keep your lights plugged in all night, but it also poses a safety hazard. Remember to turn everything off before you go to bed–and that includes open flames. Inspect a Home Ltd. would like to wish you a safe and happy holiday season. We provide a variety of inspection and testing services in Westchester County, NY and Fairfield County, CT and the surrounding areas. Feel free to contact us if you would like to schedule our services to keep your home safe and sound all year round! Preparing to head towards warmer climates this holiday season? Check out our article with tips on how to protect your home while you’re away.